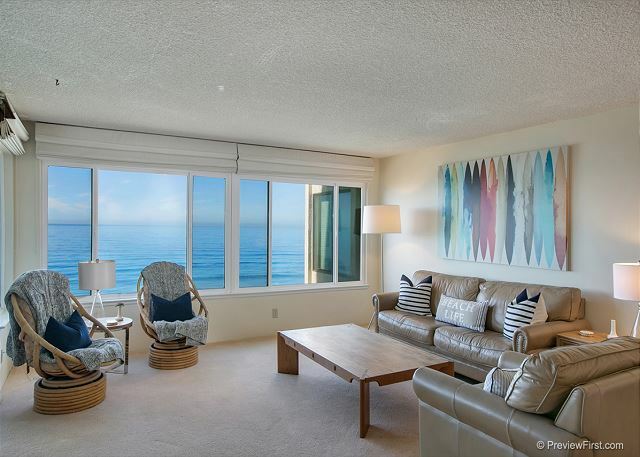 OCEANFRONT 2 bedroom, 2 bath condo in the Del Mar Beach Club. Light, bright, with fabulous views. 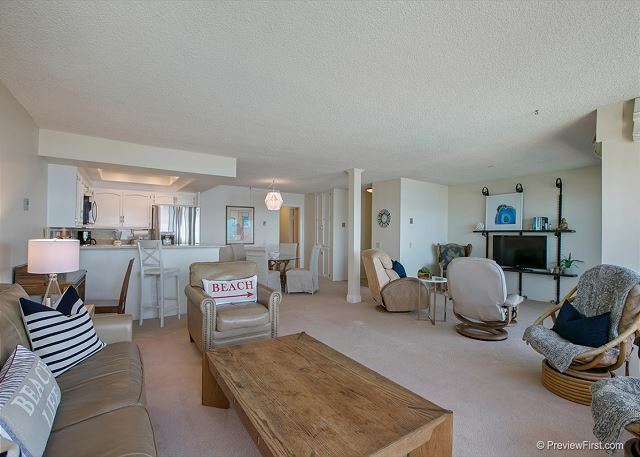 Deck off of living room overlooking beach; Flat Screen TV, high speed internet, upgraded kitchen with granite counter tops. 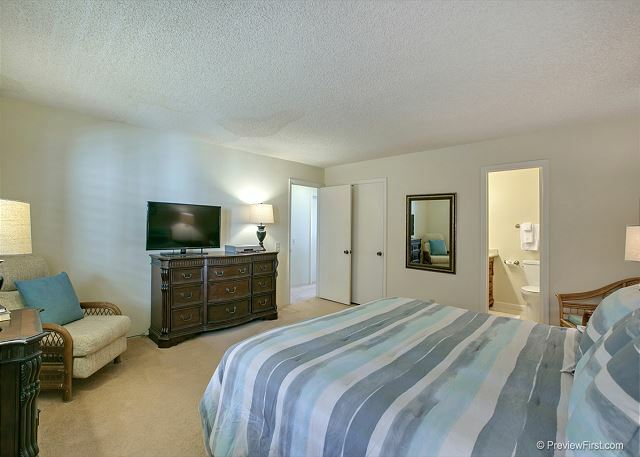 Both full baths have been 100% remodeled and upgraded, one with walk in shower. 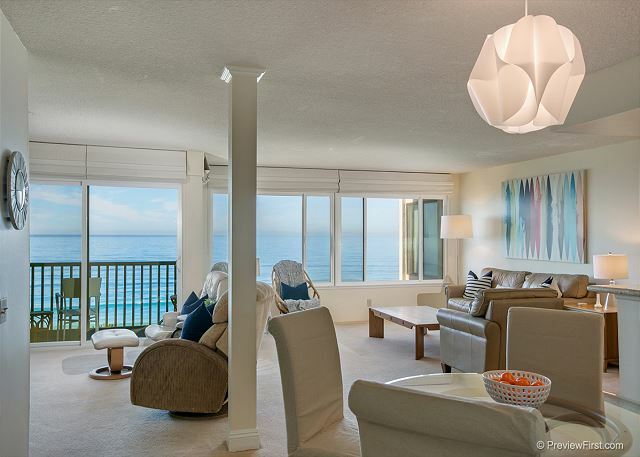 Community offers 4 pools (2 are oceanfront, 1 heated ), 2 spas, sauna, 2 tennis courts, an oceanfront clubhouse, private community beach access, and a pool side fitness center. Walk to Cedros Design District for incredible shops and galleries, walking distance to restaurants and Del Mar Race Track! Train station is close by. 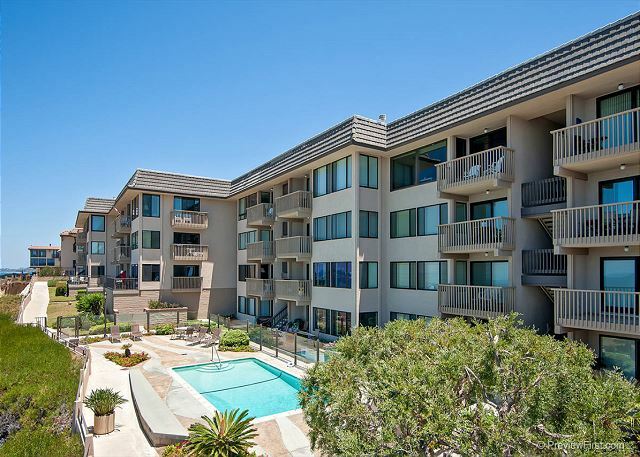 Travel to Los Angeles or downtown San Diego! A perfect location!!! We really enjoyed our stay in this condo. It has an incredibly beautiful view to wake up to every morning, and the sunsets from the balcony were amazing. 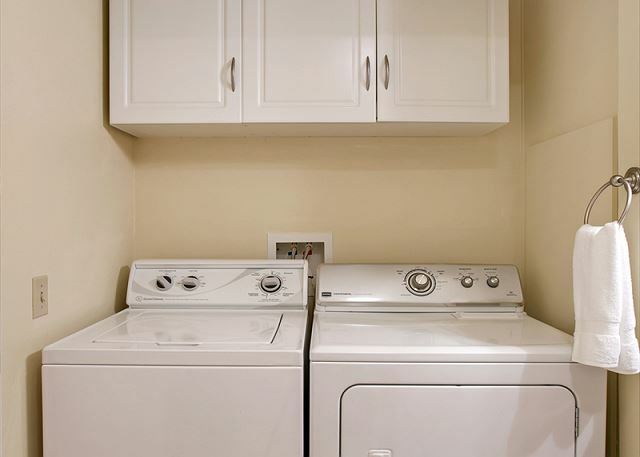 The condo has everything that you need for your stay including kitchen supplies, towels, cable tv, internet, and washer and dryer. Everything worked very well and we were very satisfied with our stay. We thoroughly enjoyed our month long stay at this beautiful property. The ocean view was amazing. The condo was very comfortable and we'll equipped. 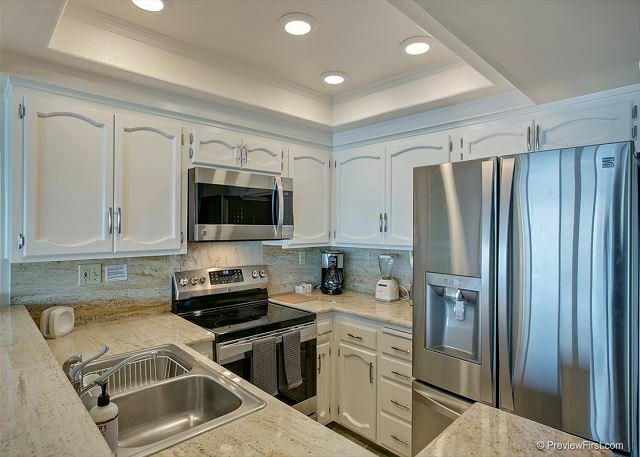 The Property Management company was professional and very friendly and helpful. We have already booked our next stay. Faith S from San Diego, CA does not recommend this vacation rental. Your office staff was kind and helpful to us. 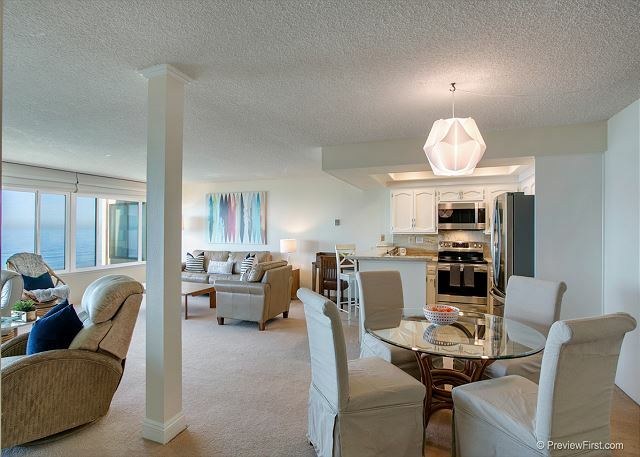 We were grateful to find an oceanfront condo and loved it. However, it does need work as you well know. The twin beds were very uncomfortable for an adult. The carpet was stained and unclean. I would not recommend it until the work is done. Loved Solana Beach, Del Mar Beach Club well maintained. Drawback was the VERY long flight of stairs to beach. Upper deck and our unit had incredible view of ocean and sunsets. I would not hesitate to recommend PCP for the exceptional holiday experience. 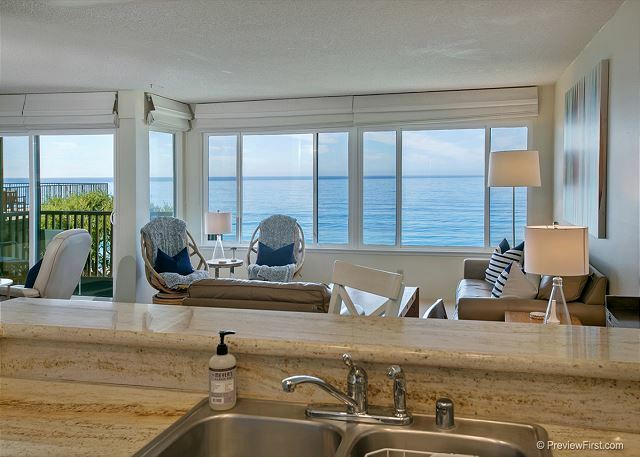 Great month in a beaqchfront condo with endless ocean views - lots of wildlife, walking on the beach. The view was magnificent and better than the pictures. The apartment was very homey and comfortable. It had plenty of dishes and utensils so that I could give a successful dinner party and had sufficient dishes. The rental agents at PCP were helpful and always returned my calls when I had a question. 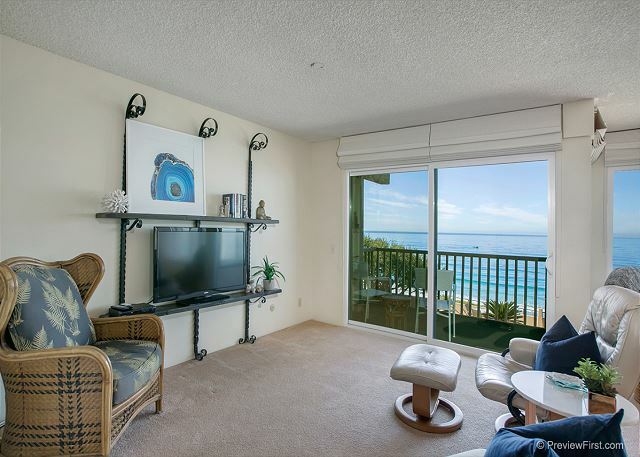 I would recommend using Pacific Coastal for any rentals in the area. My biggest complaint was that the condo owners definitely need to replace the mattresses. Beautiful ocean view and easy access to the parking lot was a welcome surprise. Wonderful beach view. 100 stairs down to an almost private beach. Close to shopping, away from the San Diego crowd, but 1/2 from Sea World, Zoo, etc. Loved it! Lou B from Fontana, Wisconsin does not recommend this vacation rental. Only one kitchen stool?? No hair dryers. Furniture old, but doable...Cabinets were the worst. Would be nice to have patio table, beach chairs, hair dryer. Linens were ok. I was pleased with my stay. Overall, this property is peaceful, comfortable and very conducive to writing (I'm a writer). My only sadness was that I had to move out and leave the gorgeous view. We had a great time and I would recommend in a heart beat. My brother and sister in law stopped by during our stay and I think they will rent for there parents next summer. View was fantastic.